It has been a brutal winter, from what i’ve heard and what i’ve come back to. Coming back to this blistering, bone-chilling cold weather after an amazing six week adventure in Kenya and Dubai, my body was calling for a hearty soup. 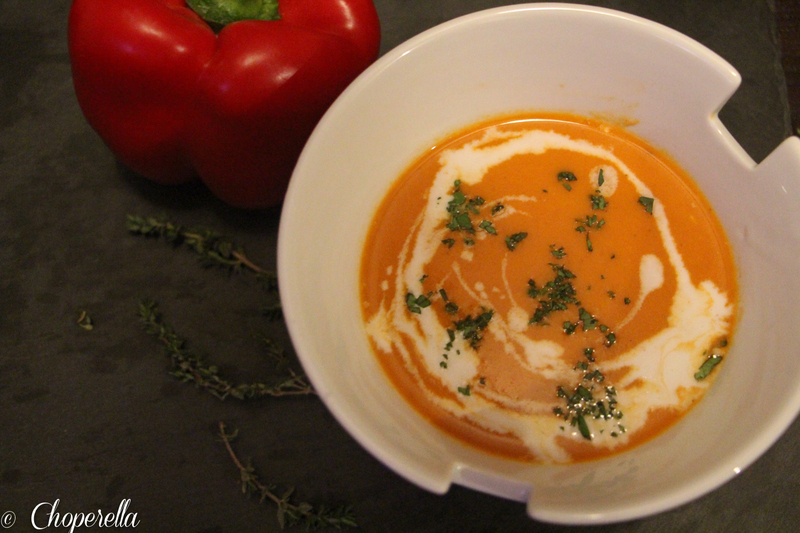 I was craving a yummy and creamy roasted red pepper soup. Roasting peppers is super easy and very quick, so there’s no excuse to not make this at home. It’s as simple as cutting them in half, removing the seeds and membrane, and broiling them. Then steam in a bag and peel! 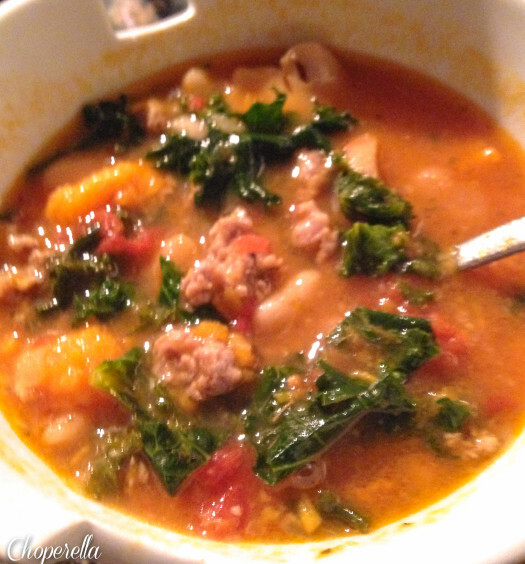 I was looking to make this soup thick and creamy without using dairy or starch. So I rummaged through the pantry and found some coconut milk, perfect! It’s not as heavy as heavy cream and gives a nice subtle coconut flavour and the slight richness the soup needed. I drizzled the top of my bowl with some to finish, because I can’t resist presenting my own food. I’m crazy. This soup is full of flavour, vibrant and delicious. It’s gluten free, hearty and healthy! Try it out to pick you up after a cold, bone-chilling day! 1. Place your rack on the top shelf of the oven and turn your oven on broil. Line a baking sheet with foil. 2. Wash and dry each red pepper. Cut each in half, remove the membrane and seeds. Flatten each with your palm and place on the baking sheet skin side facing up. 3. Peel the garlic and put on the baking sheet as well. When the broiler is ready, put the baking sheet into the oven and broil the peppers and garlic until the skin is blistering and burnt for about 15 minutes. Make sure to keep an eye out for them as ovens vary. 4. While the peppers are roasting. In a heavy bottom pot, heat 2 tbsp of oil on medium heat. Chop the red onion roughly into large chunks. When the oil is hot sauté the onions until soft about 10 minutes. 5. 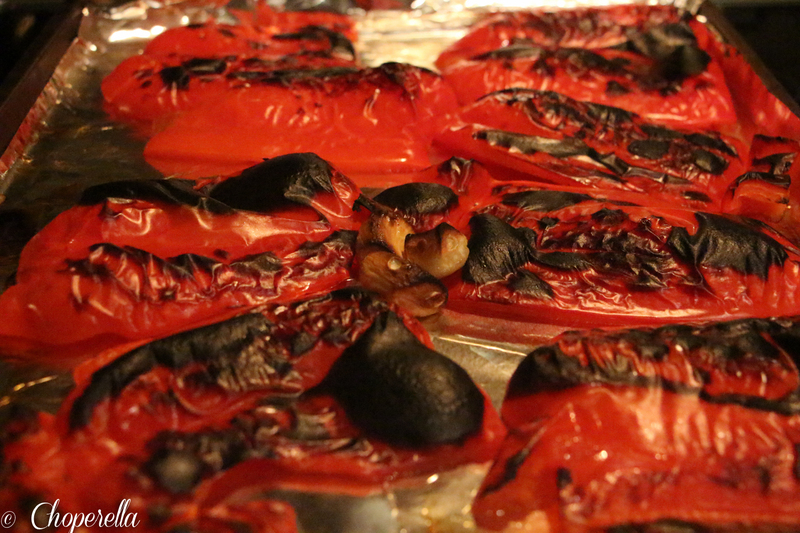 Once peppers are charred, remove from the oven and place into a large ziploc back for 5 minutes to steam. This will aid the skin to peel off easily. After 5 minutes, peel the skin and toss the peppers and garlic with the sautéed onions. Cook on Medium heat for 5 minutes. 6. Add the thyme, bay leaf, stock, coconut milk, salt, pepper and cinnamon. Bring to a boil for 2 minutes. When at a boil. Turn the heat off and take the pot off the heat. Let it sit for 5-10 minutes. Remove the thyme stem and bay leaf. 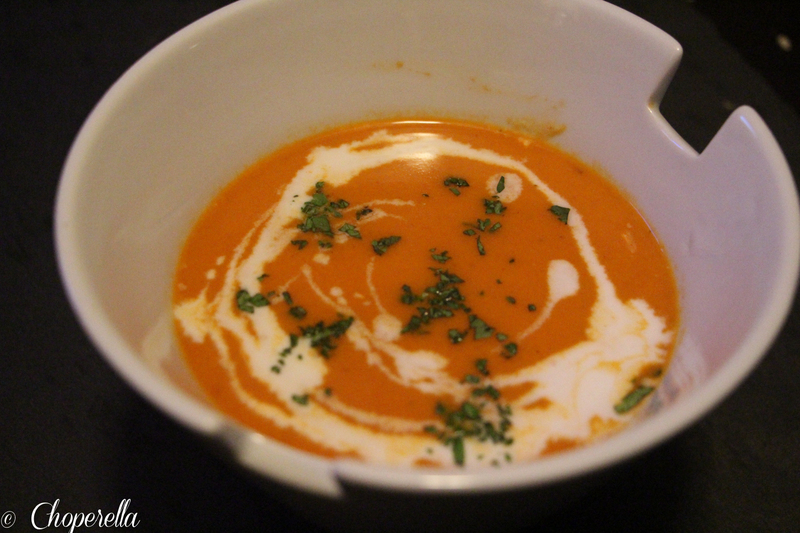 Carefully using a hand blender or a regular blender, blend the soup to your desired consistency. I prefer a full puree. 7. Taste and add more salt and pepper as desired. 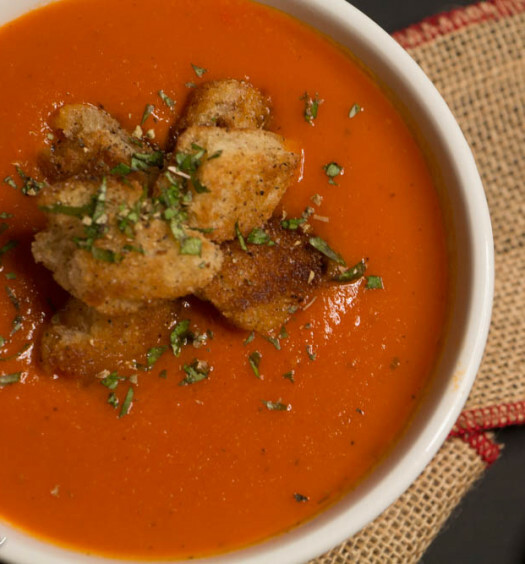 Serve with a warm baguette!